Personalized for individual comfort and total adjustability, the Goldtouch Go!2 Mobile Bluetooth Keyboard is the world's first wireless ergonomic keyboard designed with business travelers in mind. This light and sleek Bluetooth keyboard combines the flexibility of wireless connectivity with personalized comfort that's uniquely adjustable for each individual. Plus, it folds to a compact size for even greater travel convenience. 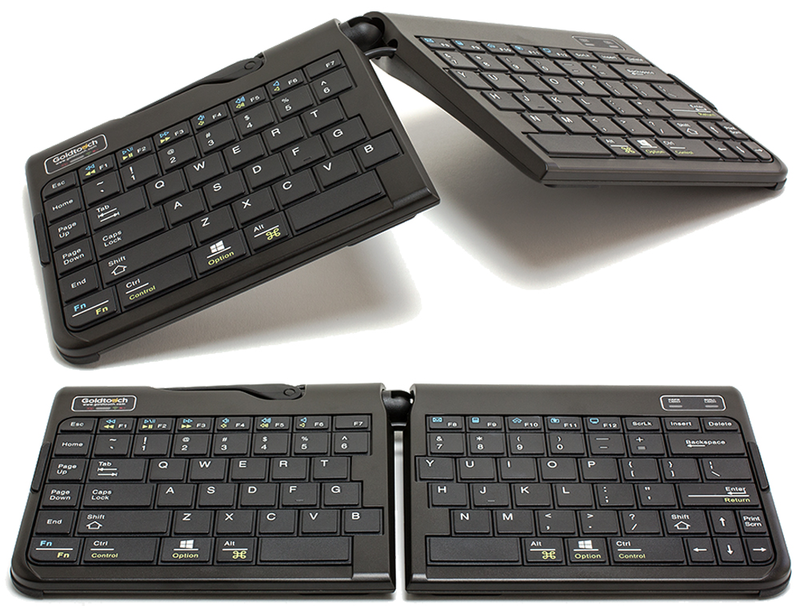 Wireless: Connecting via Bluetooth, the Go!2 Mobile Keyboard is compatible with a wide range of devices, including tablets, smart phones,Ultrabooks and laptops. Plus, it's driver-free for both Mac and PC. Adjustable: Adjustment along the horizontal plane, combined with additional individual adjustments for vertical tenting. Compact: Ready to use in tight places, like airplanes or hotel desks. And it folds in half for even greater portability. 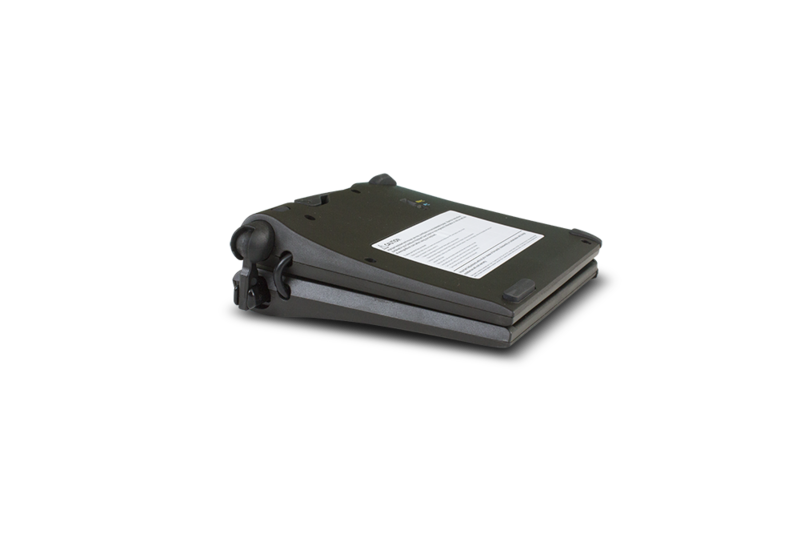 Compatible: Works with PC or Mac OS, supporting Windows 8, 7, Vista, XP, 2000 and Mac OS 10.4 and above. Multimedia key support for both Windows and Mac OS.